You have a property to sell? So you rely upon efficient marketing, the best and most helpful, accurate and trusted advice to succeed. We provide friendly and flexible viewing arrangements (7 days) for prospective purchasers. Comprehensive negotiation and liaison with both parties solicitors for a quick and stress free completion of sale. Recent TV and media reported horrors can be un-nerving but are easily avoided if the right management service is applied when selecting long term tenants. Since 1999 we have only had to evict 3 tenants and have avoided court actions for our landlords, even though every regulation and the law is adhered too. We establish good contact and referencing, accounting for individual circumstances of each tenant candidate. We then continue by establishing an ongoing tenant / management relationship whereby our tenants are not afraid to report any change of circumstance or problem to us and always receive our professional advice and help. Regular inspections are essential to monitor the tenancy. We will select the best type of investment property for you to achieve the maximum return from any of the preferred counties within our area. 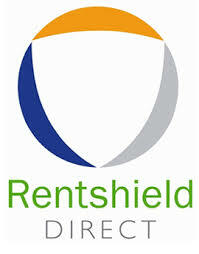 We offer fixed transparent fees and prices to clients and tenants. You will then be given a complete fixed quotation with staged payments for our service to acquire and let your property with full ongoing management. We will provide details of suitable properties for your choice, negotiate the best price for your chosen property and check that the property is in the best condition possible for the price. We will oversee the conveyancing process to completion. We assess any preparation work required in compliance with current letting regulations. We will the let the property for you. Letting need not be stressful or problematic. Since 1999 we have established a letting policy that, in the majority of cases, has ensured trouble free letting with the maximum return. We first of all only offer in well presented properties unfurnished to let and assess candidates on individual merit, status, letting history and affordability. To include, Marketing, Viewings, Referencing, Inventory and preparation of agreement. Full management ongoing – From just 9% + vat of the rent charged – to be quoted. We provide a complete local maintenance and emergency call out service in all of the areas we operate – Any maintenance or replacement cost over £250 + vat is quoted for approval.